Could you tell us a bit about yourself, what you sell at Lexi Nicole Jewelry and how you got started? Lexi Nicole Jewelry was started out of a passion for jewelry and a desire to make high-end jewelry accessible at a more affordable price. I attended my first regional jewelry show with my family’s business when I was just 16 years old. It didn’t take long to see how much of a markup big box jewelry retailers were making, and it’s criminal. There is no better way to put it. You shouldn’t have to break the bank to wear quality jewelry. I wanted to ensure that all jewelry that our customers would receive is only the best. We did a three-year study on multiple suppliers, designs and materials before bringing our products to the market. We wanted to ensure they would not only look beautiful in the jewelry case, but they would also stand the test of time and daily wear and tear. We also decided that we would offer a lifetime warranty on all of our jewelry products. It sets your mind at ease to know that you have that warranty there for you. Nobody else offers a lifetime warranty with the same price point of jewelry that we do, which has really set us apart. Our first sale was from a family friend who was always excited to help out, especially when it included something sparkly. I am very appreciative of all the friends and family members who choose to shop with me instead of the big box stores. Well, we’ve had just a few. Right as we were finishing our three-year study, my husband and I got married and moved across the country. We moved from a nice spacious house to a tiny apartment, which really shook things up a bit. I also had a few health issues that unfortunately set me back, but thankfully I have been blessed with my health returning to 100% and am able to focus more on making my business thrive! Glad to hear that! What influenced your decision to use Shopify? I have a few friends in the web design industry, and they highly suggested it. It is easy to use, has amazing design and technical support, and the community of Shopify store owners is amazing. You don’t have to have it perfect in the beginning. Give yourself time to learn how to create and design the website. Don’t expect it to be perfect immediately. It takes time, sleepless nights, chatting with the great tech support team, and a lot of coffee! 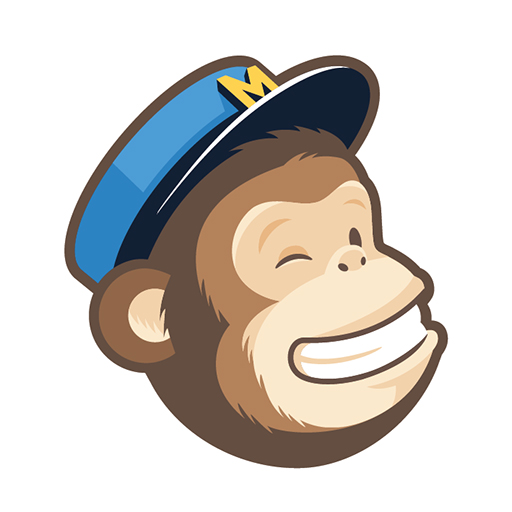 We couldn’t do what we do without MailChimp. It’s easily accessible from the website or app on multiple device platforms. It is easy to use, has reports for each email sent that helps us tailor to each customer group. It is the best tool you can have in your “toolbelt”! We chose the Supply theme. It was a warm display with clean organization. Easily organizable with lots of options. What strategies have you used to attract more leads and grow Lexi Nicole Jewelry? Word of mouth has been great for us. You never know if you don’t ask, and all of our customers have been more than happy to recommend us to their network of connections through a simple social media post or our coupon cards we send in every order. We send a follow up “thank you” card 1-2 weeks after they receive their order. It’s been a great way to spark extra interaction after their order. Because we are still a relatively new shop, I don’t have much to go on in terms of metrics. The fact that we’re up to more than 100 orders per month in such a short period of time and are growing at a steady rate, however, demonstrates that we are headed in the right direction. We are working on more community interaction since the majority of our customers are from our website. We really want to get out there and do some local vender events. Community involvement is very important to us. The best resources have been provided by the shopify community. The Shopify Sellers facebook group has been a great source of critique, information, recommendations and encouragement. Believe in yourself. You will have people who are excited for you, and people who thinking owning your own business is the worst idea on planet earth. There is no such thing as an overnight success, because it took many nights of no sleep and too much coffee to get prepared for rapid success. Find us online at www.lexinicolejewelry.com or follow us on Facebook and Instagram! We’re constantly posting about local community events we participate in, new products, and promotions. Our VIP email list is going to be your best source, we send out new and exclusive products there before they are announced on Facebook and Instagram. If you’re in the Dallas Fort Worth area, keep an eye out for us at local events! We would love to connect and meet you!